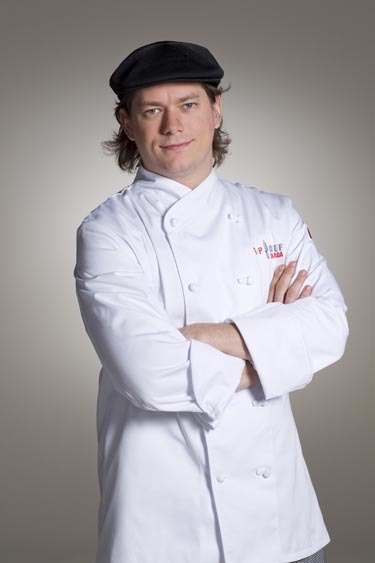 Top Chef – You know, at first I didn’t like Carla but she totally grew on me and I’m hoping she wins the whole thing. Glad Gail is back; Toby was irritating. And I totally thought the other person would get kicked out of the final, but I guess past performance was a factor. Only Here for the Food has a great interview with Chef Rob Feenie. eggbeater has a post on vegan baking and substitutions. Edmonton Journal interview with Mark Bittman and on eating less meat. If you’re a fan of the Watchmen, you might be interested picking up some limited edition Nite Owl dark roast coffee. And speaking of coffee, Starbucks has some interesting package design for their new instant coffee, the VIA Ready Brew. Mark Bittman in the NY Times on breakfast alternatives. Frank Bruni in the NY Times gave Susur Lee’s new restaurant Shang a single star rating (ratings are 0 to 5). Ouch. Other reviews have been mixed. Does this mean he should have stayed in Toronto?